Divinity #1 is the first image of the new prestige format Valiant Next limited series. Matt Kindt and Trevor Hairsine are a dynamic duo on the book and the first issue has sold out at the distributor level for the second time. That means fans can expect a third printing on April 22, alongside Divinity #3. Valiant Entertainment is big on sellouts and Divinity #1 is the latest in its string of successes. The second must-read series to be released in the “Valiant Prestige” format, the sold-out Divinity #1 (of 4) third printing comes complete with deluxe matte-laminate card stock covers, custom-designed end sheets and exclusive back matter featuring never-before-seen notes and artwork by Kindt – all with no advertisements and a standard $3.99 cover price. At the height of the Cold War, the Soviet Union – determined to win the Space Race at any cost – green lit a dangerously advanced mission. They sent a man farther into the cosmos than anyone has gone before or since. Lost in the stars, he encountered something unknown. Something that…changed him. Long thought lost and erased from the history books, he has suddenly returned, crash-landing in the Australian Outback. The few that have been able to reach him believe him to be a deity – one who turned the scorched desert into a lush oasis. They say he can bend matter, space, and even time to his will. Now the rest of the world’s powers must decide for themselves – will the enigmatic DIVINITY offer his hand in friendship or will Earth’s heroes find themselves helpless against the wrath of the divine? 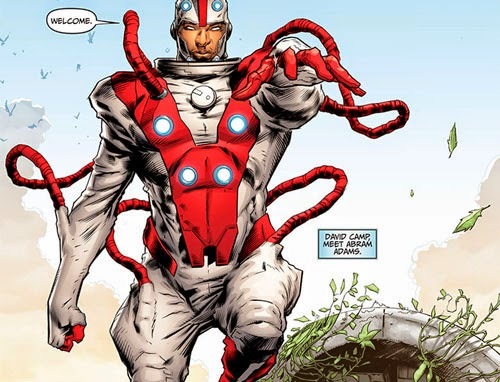 DIVINITY #1 Skyrockets to Second Sell-Out, Returns With Third Printing In April! Valiant is proud to announce that DIVINITY #1 (of 4) – the acclaimed FIRST ISSUE of the new prestige format VALIANT NEXT limited series from New York Times best-selling writer Matt Kindt (THE VALIANT, RAI) and blockbuster artist Trevor Hairsine (X-Men: Deadly Genesis) – has sold out at the distributor level for the second time and will return to store shelves on April 22nd alongside DIVINITY #3 (of 4) with the DIVINITY #1 (of 4) THIRD PRINTING! The sci-fi saga of 2015 begins here with an new cover design for the spectacular all-new limited series that Wired calls "one of the most exciting, ambitious titles Valiant has published." The second must-read series to be released in the “Valiant Prestige” format, the sold-out DIVINITY#1 (of 4) THIRD PRINTING comes complete with deluxe matte-laminate card stock covers, custom-designed end sheets, and exclusive back matter featuring never-before-seen notes and artwork by Matt Kindt – all with no advertisements and a standard $3.99 cover price! Plus, the visionary sci-fi epic of the year continues on March 18th in DIVINITY #2 (of 4). A new god has made his presence known to the world, and the heroes of Earth find themselves at the mercy of the being only known as DIVINITY!